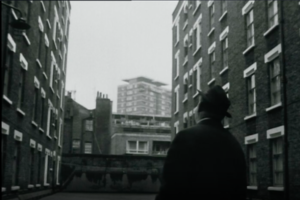 Recently the BBC broadcasted Contract – Marble Arch to Edgware where the “poet & hack” John Betjeman ( Poet Laureate of the UK 1972-1984 ) goes down the Edgware Rd during the late sixties, highlighting the dismal damp squalor of Miles Buildings, with clearly a slum landlord running it all. Incredibly things have not much changed 50 years after he first pointed out the buildings in his broadcast. 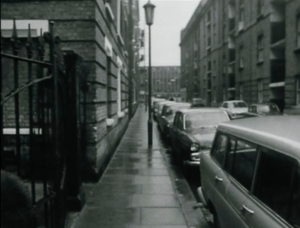 It shows some of the worst housing in Central London if not least in the City of Westminster, in 1968 and l am sorry to say it is much the same fifty years afterwards. Like myself he had picked up on the despairing sight of these tenement blocks. 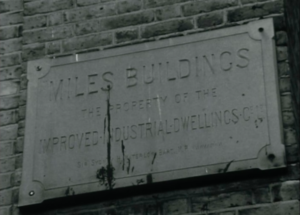 What caught my eye was how little had changed since 1968 to Miles Building and its clear it has been largely ignored in the interim years by the authorities, the local council the GLC and all other housing authorities. I understand one family owns much of this overcrowded slump housing. Along Penfold Place, NW1, just off Edgware Rd and opposite Paddington Green Police Station these old tenement blocks date back over a hundred years ago and were built by the Improved Industrial Dwellings Company. They were clearly trying to improve housing locally in the squalor of Marylebone. But something clearly happened to change the ownership of the blocks and down hill it went very quickly by the looks of it. At that point it appears the buildings were left to rot into their damp squalor. 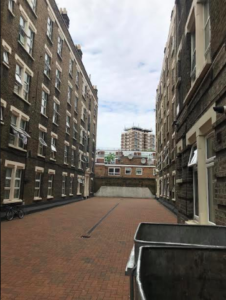 So l ask can anyone else point to any worse housing in Central London? I certainly can not. 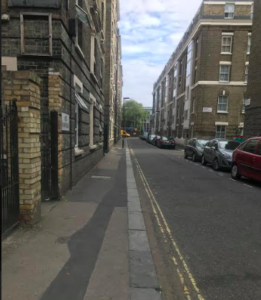 As for regeneration in Church Street Ward where these blocks find themselves in – Miles Buildings does not get a look in!!!!! And have not done for over fifty years now. It must be time to redress this particularly when it will soon live under the shadow of the West End Gate development on the other side of the Edgware Rd. These blocks should at least be upgraded to building standards of today.